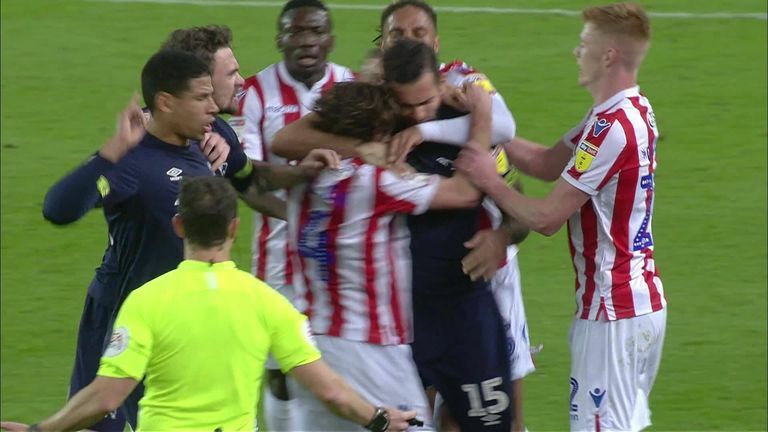 Joe Allen says he was not bitten by Derby midfielder Bradley Johnson during Stoke's 2-1 win on Wednesday evening. 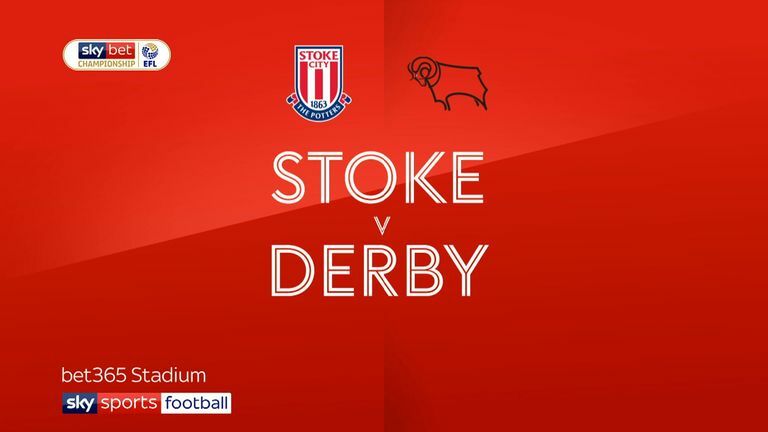 The incident came in the aftermath of a challenge from Peter Etebo on Richard Keogh, which resulted in the Stoke player being sent off. Television replays appeared to show Johnson sinking his mouth into Allen's shoulder but the Wales international has played down the clash. Both players were booked, and Allen told the Stoke Sentinel: "People asked me at half-time what had happened and suggested I'd been bitten, but to clear it all up, that didn't happen. "He might have caught a bit of my shirt, but I think we can lay that one to rest." Etebo's tackle prompted a melee but Allen agreed a red card was probably warranted. "It was one where I think instantly you worry how it was going to be viewed," he said. "I haven't seen it back but not too many people were defending it. The signs were there that it was worthy of a red card. "I think he got the ball first and I don't think he meant to hurt anyone, it was rather a bit clumsy." Stoke went on to win 2-1 despite being a man short and Allen added: "I think the signs in recent weeks have been promising, even if we've still had disappointments and frustrations. "It all came together in lots of ways."